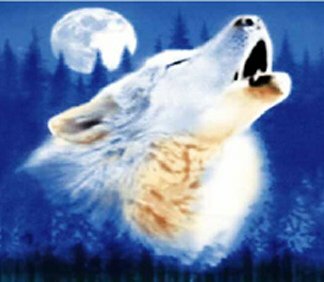 This Howling Wolf Polar Fleece Throw Blanket has beautiful, rich blue hues, and is a great gift idea for the animal or wolf lover on your gift list. It measures 50x60 inches, and is soft, cozy and lightweight. This is a great item for a child's room, your sofa, boat, RV, to take on a camping trip, outdoor events or to keep in the trunk of your car. This blanket is also a thoughtful gift for a hospital patient.